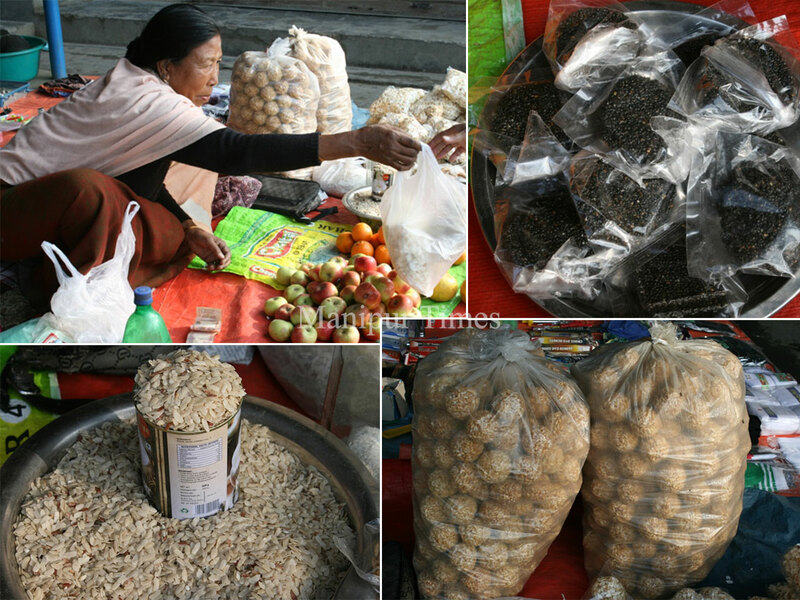 Sixty five year old Naorem Tombi Devi, wife of late Ibotombi from Samurou Naorem has been selling snacks such as Kabok Muri, Kabok Afaba, Kabok Khoidum,Chujakkabok, Kabok Khoibak, Hamei, Thoidingkabok, Sana Kabok, Kabok boon, Phoukhoibum, KabokAkhingba, Lalu (small, medium and Big size), Chini Heingal, Chengpak, Chuhi and many others. These food items locally known as Kabok are made of rice by frying it in a pan while Chengpak is made by flattening the Rice after boiling. Lalu, an oval shaped edible item is made from the remains of kabok making process. 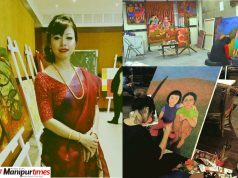 Sharing her personal struggle of life to Manipur Times, Tombi Devi said, “I don’t know how I would tell you about how much I struggled to earn money, to maintain the family with the meagre income of a poor widow. My husband late Naorem Ibotombi Singh was a Councillor of Samurou Nagar Panchayat. His sudden demise out of a BP stroke left my family in grief. I had to take the responsibility”. 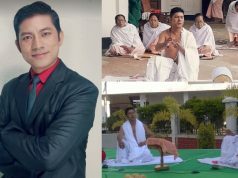 “Compelled by poverty, I came out to Samurou Keithel and started selling vegetables and local made snacks oe ‘Kabok’ to run the family and feed my hungry kids. While my husband, the sole bread earner was alive, we could manage the family comfortably with no troubles or hardships. 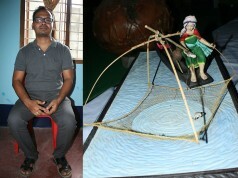 Huge expenditure was also invested in the effort to save my husband’s life. With all my children grown up, they now support me. My three daughters have gotten married and the eldest son is in the Railways. My family no longer faces much hardships as we used to do in the past as my son starts helping me with his salary from the job. I can have a sigh of relief to some extent now and those hardship days I toiled for survival have passed, no matter how hard the past was, recalled Tombi. Tombi personally used to prepare the kabok items at her home with the help of her daughters and other local women. 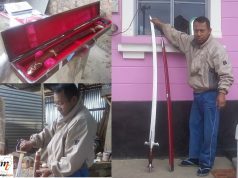 The finished products are brought to Samurou Keithel for selling. Now, as her daughters got married and her son is out of the state for his railway job, she no longer prepares the local kabok items. Instead, she used to procure them from others. For her, Kobithabi, Lamsang are the main source from where she collects kabok products. Besides these food items, she also sells banana, apple, yongchak, sweet potatoes and other vegetable items. Prior to her Kabokbusinsess, Tombi earned her income by weaving phanek (dress worn by Manipuri woman), shawl at home. Salute to woman who self help..
Samurou bazar yonbani, eikhoi abokni.